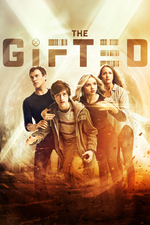 Den of Geek - The Gifted episodes 12 and 13 closes season 1 by highlighting all of the X-Men goodness you could want. That was pretty fun. I'll miss Garret Dillahunt, but it was worth it to see Lorna go the full Magneto. Well, he's only comic-book-dead since the death was off-screen, no telling if they'll bring him back next season. but it was worth it to see Lorna go the full Magneto. I was rolling my eyes at the 'plunging cleavage of evil' but, overall, it's been a fun season and I'm glad we're getting a second. I'm not sure which option I'm rooting for. On the one hand, I've loved that guy's work since The Sarah Connor Chronicles, but on the other, I'd sort of like all those deaths to stick from a dramatic standpoint. Oh: I was amused at Andy arguing that something called 'The Hellfire Club' must be a force for good in the world. Just want to point out that Jay Edidin gave it his seal of approval, so it's official, if you love the X-Men, you love The Gifted. pretty solid finale to a pretty solid season. I can't bring myself to love this show for some reason, but I like it enough to keep watching. "I was rolling my eyes at the 'plunging cleavage of evil'"
Well, yeah, but she is the Black Queen now, so she has to have a little fetishy-glamming it up-ness. Also, awesome season ending. Black queen Lorna, Andy going over, dead evil scientist (maybe?). Well it is a typical X-Men plot where the Evil Brotherhood of Evil Mutants Doing Evil comes out ahead. My prediction based on comic story lines is they'll continue to do so until the non-evil mutants pull off a draw or partial victory with serious losses. It's the mutant way. Over the matter of about an episode a night, I just caught up and finished the season. It's an X-Men show (sans X-Men) that I really enjoy, if only because it's playing in a universe where there's a familiarity that exists without a constant need to explain it. In terms of writing, it isn't the best, but for mutant watching fun I'd recommend it to anyone. The split of the Mutant Underground at the end of the finale was something I felt had been indicated for at least half the season, essentially the moment the Hellfire Club was mentioned - but perhaps even earlier, with the obvious powerroids that Andy immediately began hitting hard on the moment he went from being afraid of his powers to being bolstered by them. I'm eager to see how things unfold next season. Woot.